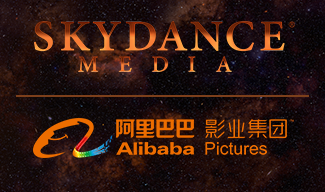 Santa Monica, CA and Beijing, China – April 6, 2016 – Skydance, a diversified media company that creates elevated, event-level entertainment for global audiences, and Alibaba Pictures, Alibaba Group’s entertainment affiliate, today announced that they will join forces to finance and produce a Flying Tigers feature film for global release. It has been designated by Skydance Media and Alibaba Pictures as a high-priority development project. The screenplay will be written by Oscar-nominated writer Randall Wallace (Braveheart) and the film will be produced by David Ellison and Dana Goldberg of Skydance together with a team from Alibaba Pictures. The Flying Tigers – formally known as the 1st American Volunteer Group of the Chinese Air Force – was a group of volunteer pilots from the U.S. Air Force, Navy and Marine Corps. Led by Captain Claire Lee Chennault, the group fought alongside the Chinese during World War II. The Flying Tigers project will tell the story of the unique brotherhood formed by these intrepid soldiers. “Skydance’s relationship with Alibaba Pictures got off to a great start last summer with Mission: Impossible – Rogue Nation and we look forward to deepening our ties even further as we jointly develop, produce and finance Flying Tigers, an authentic story that draws from both Chinese and U.S. history,” said Skydance Chief Operating Officer Jesse Sisgold. Randall Wallace is a screenwriter, director, producer and songwriter who earned an Oscar nomination for Best Original Screenplay and Writers Guild of America award for Best Screenplay Written Directly for the Screen for Braveheart. He also wrote and directed The Man in the Iron Mask, We Were Soldiers and Heaven Is For Real and wrote the screenplay for Pearl Harbor. Wallace is the New York Times bestselling author of eight novels. Today, Skydance is a leading producer and financier of major Hollywood studio films and television shows. Since its inception in 2010, Skydance has produced 10 feature films, which have cumulatively grossed approximately $4 billion in worldwide box office receipts. The Company’s current film slate includes Star Trek Beyond with Paramount on July 22, 2016, Jack Reacher: Never Go Back with Paramount on October 21, 2016, Geostorm with Warner Brothers on January 13, 2017 and Life with Sony on March 24, 2017. Alibaba Pictures began investing in Hollywood film with its stake in the 2015 Skydance film Mission: Impossible – Rogue Nation in partnership with Paramount Pictures. Skydance is a diversified media company founded by David Ellison in 2010 to create elevated, event-level entertainment for global audiences. The Company brings to life stories of immersive worlds across platforms, including feature film, television, gaming and digital. Among Skydance Media’s commercially and critically successful feature films are Mission: Impossible – Rogue Nation, Terminator Genisys, World War Z, Jack Reacher, G.I. Joe: Retaliation, Mission: Impossible – Ghost Protocol, Star Trek Into Darkness and True Grit. Its 2015 feature films, Mission: Impossible – Rogue Nation and Terminator Genisys, together grossed over $1 billion at the worldwide box office. Skydance’s feature film slate includes Star Trek Beyond on July 22, 2016, Jack Reacher: Never Go Back on October 21, 2016, Geostorm on January 13, 2017 and Life on March 24, 2017. Skydance Media’s rapidly growing and critically acclaimed television division launched in 2013. The Company’s television slate now features a variety of projects across a number of networks, including Emmy-nominated Grace and Frankie and Altered Carbon on Netflix, Red Mars on Spike TV and Jack Ryan on Amazon. Since its establishment in August 2014 as the flagship of Alibaba Group’s entertainment business, Alibaba Pictures has been aiming to create an innovative Internet-powered movie and television entertainment powerhouse that covers all segments of the industry’s value chain. Alibaba Pictures’ core businesses span content production, Internet-based promotion and distribution, entertainment e-commerce and international operations. Alibaba Pictures has invested in and produced a series of movies that will be released in 2016, including Ferry Man, Three Lives Three Worlds Ten Miles of Peach Blossom and Ao Jiao Yu Pian Jian. Alibaba Pictures has been eager to be involved in the competitive global entertainment industry. In 2015, Alibaba Pictures invested in the Hollywood blockbuster movie series Mission: Impossible – Rogue Nation; and in REAL, a Korean production starring popular Korean actor Kim Soo Hyun which is expected to be released in 2017. Alibaba Pictures is stepping into every sector along the value chain of the film and TV industry. In June 2015, the Company completed the acquisition of Yueke, one of the largest suppliers of cinema ticketing systems in the PRC. In November of the same year, the Company acquired Taobao Movie and Yulebao from Alibaba Group. Alibaba Pictures is listed on both The Stock Exchange of Hong Kong Limited (stock code: 1060) and the Singapore Exchange Securities Trading Limited (stock code: S91).